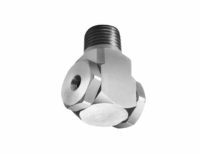 Many systems and processes can suffer from performance issues related to corrosion and/or scale buildup in various components such as piping, heat exchangers, pumps, valves, etc. Corrosion can affect the safety and mechanical integrity of a system by degrading materials and components. 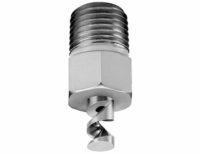 Scale build-up can affect the efficiency of a process by decreasing flow passages and potentially blocking all or part of a process stream. 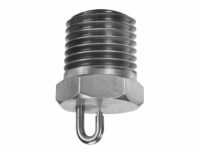 Heavy scale buildup has the potential to break off and clog or damage downstream equipment. 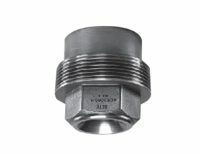 Compared to open-ended injection quills, BETE spray nozzles are designed to maximise efficiency in inhibitor injection applications as they atomise and distribute the inhibitor liquid into the process stream or vessel which increases the coverage and reaction surface area that reacts with chemicals and compounds in the process that may cause corrosion or scale formation. 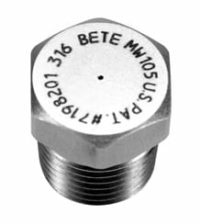 Spray nozzles coupled with BETE injection lances can distribute the inhibitors as evenly as possible along the centre line of process streams or vessels. Scavengers are liquid chemicals that neutralises and removes small amounts of problematic compounds, typically hydrogen sulphide (H2S), from bulk fluid streams. H2S is a very hazardous and corrosive gas encountered in the oil and gas industry during the extraction, storage and transportation phases of hydrocarbon processing. H2S removal is critically important to prevent damage to expensive infrastructure and to ensure compliance with environmental and safety regulations. 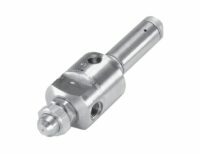 Compared to open-ended injection quills, BETE spray nozzles are designed to maximise efficiency in scavenger injection applications as they atomise and distribute the neutralising liquid into the process stream which increases the reaction surface area that combines and reacts with H2S or other problematic compounds in the pipeline. 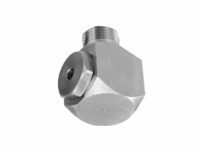 Wash water is injected into process lines in the refining, petrochemical, power generation, and chemical industries to wash contaminants from gas streams and piping components. This wash water process plays an important role in the process of refining crude oil into its component fractions. Initially, wash water is injected to remove salts and halides from the crude oil through precipitation before they are able to corrode and degrade the refining system itself. 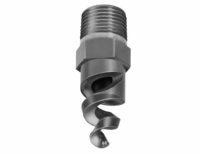 Later in the refining process, wash water injection nozzles spray into the hydrocarbon streams to clean it of residual solid particles. 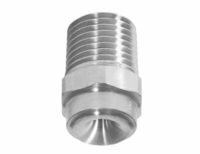 BETE spray nozzles are designed to maximise efficiency in wash water injection applications as they atomise and distribute the wash water into the process stream or vessel which increases the coverage and reaction surface area of the water.